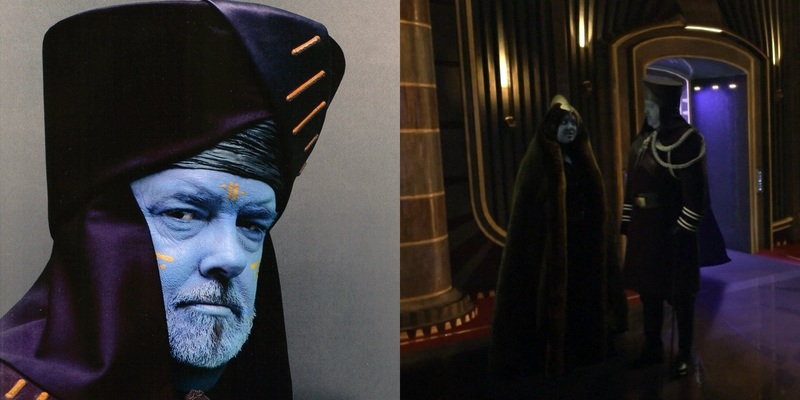 an exception here, portraying blue-faced Papanoida in a brief scene in the opera house where Palpatine spilled some Sith secrets to Anakin Skywalker. Papanoida later appeared as an animated character in Star Wars: The Clone Wars, though Lucas didn’t lend his voice. We learn that the character is the chairman of the planet Pantora. His daughters were kidnapped by the Federation via the infamous bounty hunter Greedo. Papanoida heroically tracked down Greedo and forced him, with the help of Jabba the Hutt, to spill his daughters’ whereabouts, even engaging in some blaster fire along the way. Side note: an action figure was made of the character holding a cane and its tip was in the shape of the Death Star.